Initially the chrysalis is a beautiful jade color with flecks of "gold." When the butterfly is ready to emerge, the chrysalis turns completely black. 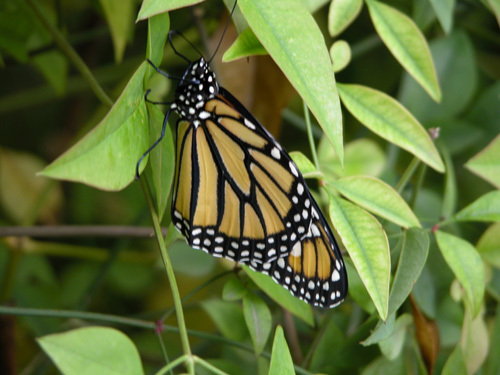 The rest of the process is nothing short of miraculous as the butterfly emerges and the wings begin to expand. The butterfly stays around for an hour or so as the wings dry and then tries out its wings a bit before taking flight.